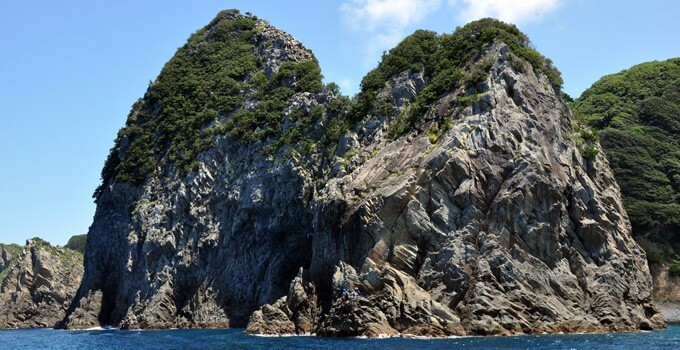 The Senganmon Rocks are a part of a volcanic neck, and the ‘gate-shape’ is generated by wave erosion. You can reach the location by taking a bus bound for Matsuzaki/Dogashima from Rendaiji Station of the Izu Kyuko Line (40 minutes), get down at Matsuzaki Bus Terminal and change to the bus bound for Kumomiiriya. Get off at Kumomi Onsen bus stop (20-minutes). Walk 30 minutes to reach site.